Alright bear with me here, readers. There is something that’s been plaguing me for a while. I have questions, and despite my best attempts at finding answers they remain unresolved. Questions lacking suitable answers are not too far off from being thrown in one of those holding cells people turn to when they don’t have the answer, but they’d like to set their minds at ease. I’m talking of course about religion, philosophy, or cliché white girl logic like “everything happens for a reason.” Given the subject matter I can’t seem to find comfort in any of those proverbial holding cells. You know how it is when you’re questioning something. It’s, like, crazy frustrating. If you aren’t able to find answers during the day they invade your subconscious at night, and suddenly your dreams are being help captive. Other times they’re buried a bit deeper and they’re tougher to access. You need an appropriate trigger to access them. Or maybe, like me, you’ll be perusing the politics page of Huffington Post when they’ll recommend you read an article about how “Selena Gomez Handled Her Body Shamers.” You’ll think, “Oh go on, you. Read it, you deserve this.” You’ll read the article and think “good for you, Selena,” write it off as feminism, and get ready to click away. But then, you’ll see it. A gallery titled “Celebrity Swimsuits Heat Up Instagram.” You’ll click and start scrolling, and suddenly you’ll come across someone you’ve never heard of named Tess Holiday. And, if you’re like me, that’s when the questions will resurface. It started in Amsterdam nearly three years ago. It was both of our first time there, and as such we knew we couldn’t snub the notorious Red Light District. As we walked through the few streets that make up this one dodgy part of otherwise adorable, innocent Holland, we saw such a range of women. They ranged from bored, to bemused, to aggressive to dancy. Some worked for it, putting on a show in true exhibitionist fashion, while others looked as if we were the voyeurs looking into their bedrooms. It’s fascinating, seriously. “Is there a quota for diversity? I only saw one truly big girl, one black woman and like two Asians. Is that a coincidence or is it based on demand?” (this was the question triggered by the photo of Tess Holiday). That’s just a small sampling, since my intent here is not to drag you down with me. I just had to share, since I suspect I’ll always be plagued by these questions. Dammit! Now I’m curious to know the answers to the Red Light District questions too!! 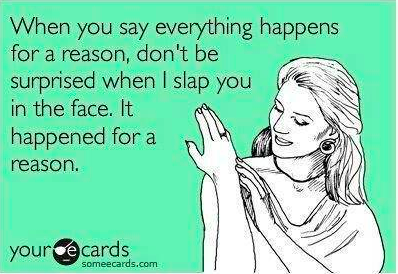 Well I don’t think the statement “Everything happens for a reason” can be applied to your particular scenario. On the other side, I have to say that you made me questioning these things about the red light too. I’ll have a look in google to see if I can get some info.